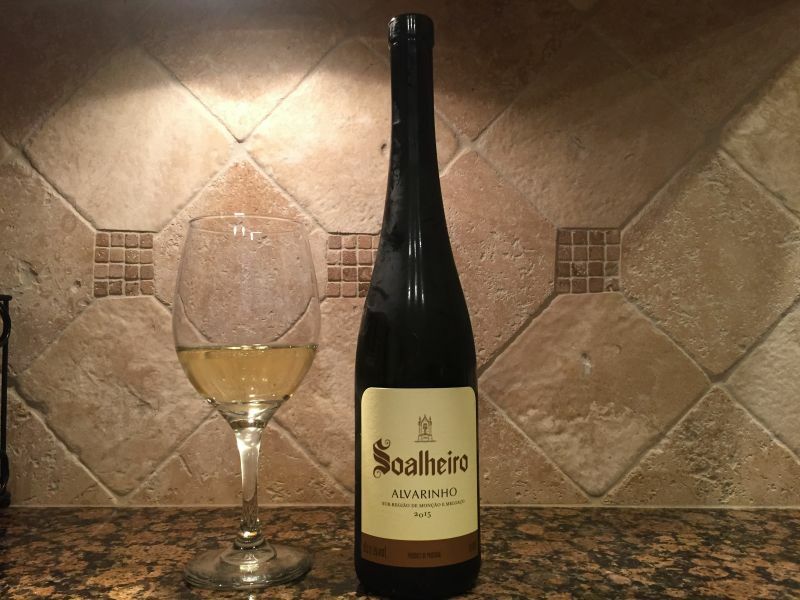 Soalheiro Alvarinho is a Portuguese white wine from the Vinho Verde region. I have generally associated the region with relatively low alcohol wines that have a slight sparkle and acidity to the fore. 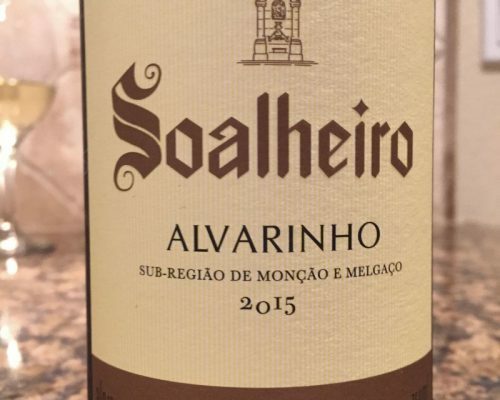 The traditional Vinho Verde wines make a great summer sip; I shall write a longer post comparing several of these wines once the weather warms. 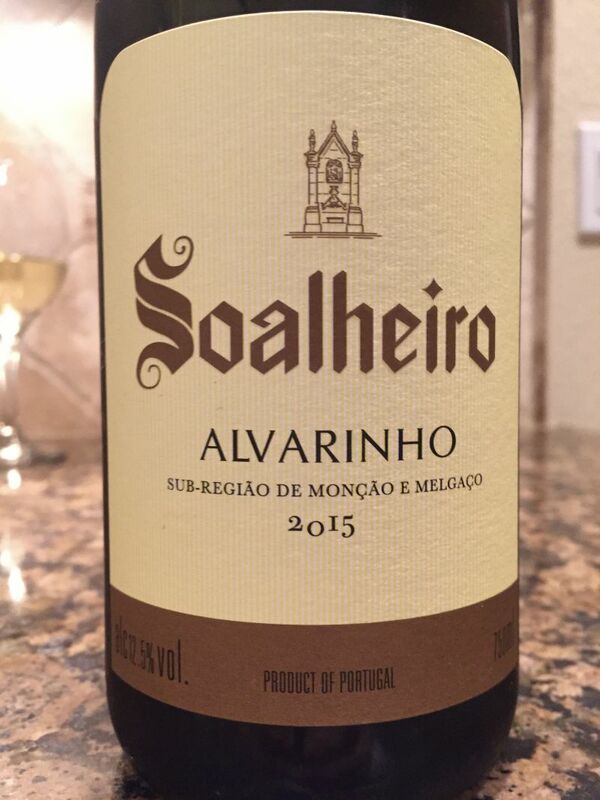 Soalheiro Alvarinho wine stands in stark contrast to the traditional Vinho Verde. The alcohol is 12.5% by volume; compared to the 10% of Casal Garcia or 9% of Gazela. Nor is it priced at the same low level of these wines, which sell for under $10; this cost about $20. There is no sparkle and the acidity of this wine is low. On the nose I detected pear. Taking a long sip, I tasted peaches, cream, and a subtly integrated citrus n the background. The wine was delightfully dry despite the fruity nose. The creaminess was not the extreme buttery mouth feel of a Chardonnay, but was still an important part of the wine’s characteristics. California Girl Comments: I was away traveling when The Brit found this wine of the week. I am looking forward to trying this lovely sip for myself. The Alvarinho grape is more commonly known by its Spanish name of Albarino. We purchased this wine from Nugget.